Several studies have examined the effects of balance training in elderly individuals following total knee arthroplasty (TKA), although findings appear to be equivocal. This systematic review and meta-analysis examined the effects of balance training on walking capacity, balance-specific performance and other functional outcome measures in elderly individuals following TKA. Data sources: Pubmed, PEDro, Cinahl, SportDiscus, Scopus. Eligibility criteria: Data were aggregated following the population-intervention-comparison-outcome (PICO) principles. Eligibility criteria included: (1) randomised controlled trials; (2) studies with comparative groups; (3) training interventions were incorporated post-TKA; and (4) outcome measures included walking capacity, balance-specific performance measures, subjective measures of physical function and pain and knee range-of-motion. Participants: Elderly individuals (65 + years) who underwent total knee arthroplasty. Interventions: Balance interventions that consisted of balance exercises, which were compared to control interventions that did not involve balance exercises, or to a lesser extent. Participants also undertook usual physiotherapy care in conjunction with either the balance and/or control intervention. The intervention duration ranged from 4 to 32 weeks with outcome measures reported immediately following the intervention. Of these, four studies also reported follow-up measures ranging from 6 to 12 months post-interventions. Study appraisal: PEDro scale. Quantitative analysis was conducted by generating forest plots to report on standardised mean differences (SMD; i.e. effect size), test statistics for statistical significance (i.e. Z values) and inter-trial heterogeneity by inspecting I2. A meta-regression was also conducted to determine whether training duration predicted the magnitude of SMD. Balance training exhibited significantly greater improvement in walking capacity (SMD = 0.57; Z = 6.30; P < 0.001; I2 = 35%), balance-specific performance measures (SMD = 1.19; Z = 7.33; P < 0.001; I2 = 0%) and subjective measures of physical function (SMD = 0.46; Z = 4.19; P < 0.001; I2 = 0%) compared to conventional training immediately post-intervention. However, there were no differences in subjective measures of pain (SMD = 0.77; Z = 1.63; P > 0.05; I2 = 95%) and knee range-of-motion (SMD = 0.05; Z = 0.39; P > 0.05; I2 = 1%) between interventions. 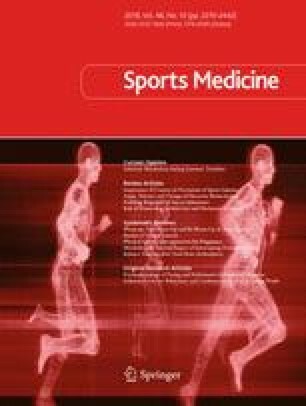 At the 6- to 12-month follow-up period, improvement in combined measures of walking capacity and balance performance (SMD = 041; Z = 3.55; P < 0.001; I2 = 0%) were significantly greater for balance training compared to conventional training, although no differences were observed for subjective measures of physical function and pain (SMD = 0.26; Z = 2.09; P > 0.05; I2 = 0%). Finally, the training duration significantly predicted subjective measures of pain and physical function (r2 = 0.85; standardised β = 0.92; P < 0.001), although this was not observed for walking capacity and balance-specific performance measures (r2 = 0.02; standardised β = 0.13; P = 0.48). A number of outcome measures indicated high inter-trial heterogeneity and only articles published in English were included. Balance training improved walking capacity, balance-specific performance and functional outcome measures for elderly individuals following TKA. These findings may improve clinical decision-making for appropriate post-TKA exercise prescription to minimise falls risks and optimise physical function. The online version of this article ( https://doi.org/10.1007/s40279-018-0964-7) contains supplementary material, which is available to authorized users. The mean and standard deviation measures for each effect point is presented in the forest plot. Thus, to avoid repetition, the data set for this review has not been included as a separate file. Kenji Doma, Jodie Morris and Andrea Grant declare that they have no conflicts of interest.